It must be said that the difference between a process map and a process model is difficult to understand through online research because most articles on the matter either contradict one another or do not provide a clear explanation of the difference. Everyone seems to have a different opinion. Some say there is a lot of overlap, while others say they have totally different purposes and should not be referred to interchangeably. Many writers on the subject paraphrase the statement “Process maps are a simpler version of process models with a lot of similar characteristics”. I find this rather confusing as there is no clear line of separation. While a difference in purpose has been stated (improve business operations), there is no indication of how a model enables such improvement, and the rest of the definitions feel like the same thing expressed in a different way. While I am in no position to provide a final say, I will attempt to clarify the difference, at least for the purpose of this article. In essence, the difference is that process models are a more digitally enhanced and therefore more capable version of process maps. What I mean by this is that process models are often created using software, enabling it to contain rich operational data, details regarding relationships to business goals, and adapt to change dynamically through various software integrations. 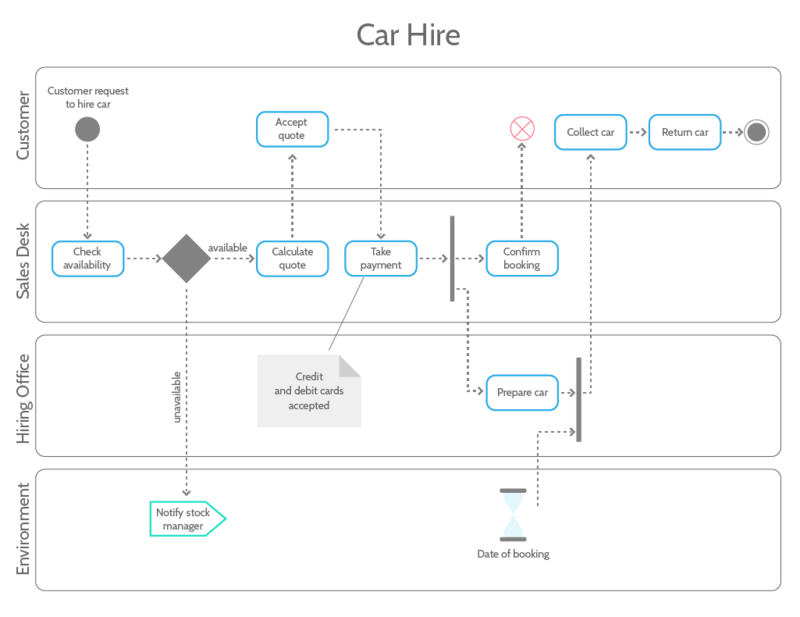 Process models are drawn with modeling software like BPMN and UML. We have written in-depth tutorials for both of these options which you can access by clicking their respective links. A process map, on the other hand, represents a static, linear sequence flow of activities that do not necessarily account for other business processes or the environment as a whole, concerning itself only with one particular flow of activities. Think of it as a snapshot of how a process is currently executed, like a balance sheet is a snapshot of a company’s financial health. Therefore, we can say that process models are a sort of extension of process maps that offer greater potential for executing process improvement initiatives as the business grows and experiences unforeseen changes. Although it is more logical and efficient to set up process automation through models as they are easier to connect to various software tools and business systems, it’s important to note that in terms of what the graphical representation shows, there is not a lot of difference. 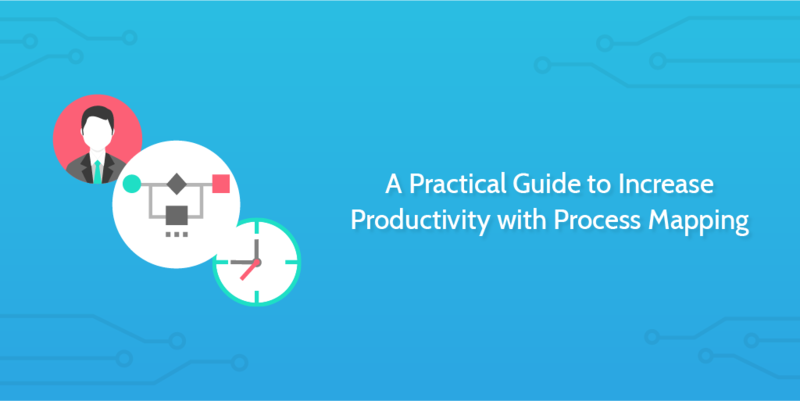 With that said, the bulk of this post which will focus on how you can increase productivity with process maps applies equally to process models, as they are an extension of process maps and therefore at their core, serve the same purpose. Whether you are mapping your processes or modeling them, the techniques discussed here to boost productivity apply equally. Process mapping and modeling are standard ways to plan, manage, and optimize all kinds of business processes, with the primary purpose of continuously improving operational efficiency throughout businesses’ various departments. So to achieve this improvement in efficiency, processes need to be well understood and followed by employees. That may sound obvious, but process adoption is a big challenge for most companies, especially as they scale and onboard new employees at a rate they’re not used to. For the purpose of this post, I am assuming that you’ve already done a fantastic job mapping out a bunch of your processes. If you’re not quite there yet and are looking to get started, there are a ton of great articles out there guiding you through the process step-by-step. Nevertheless, even if you are at the very beginning of the process mapping journey, the following points will be valuable food for thought as you look to implement the models you build in a way that actually has a notable impact on productivity. That’s what I want to dig into – how to apply your process maps so they provide value and go beyond being a document sitting in a binder on a shelf somewhere. Let’s get the obvious point out of the way first. If you are not using BPM software to manage your processes, you are, without a doubt, missing a huge opportunity to improve productivity. 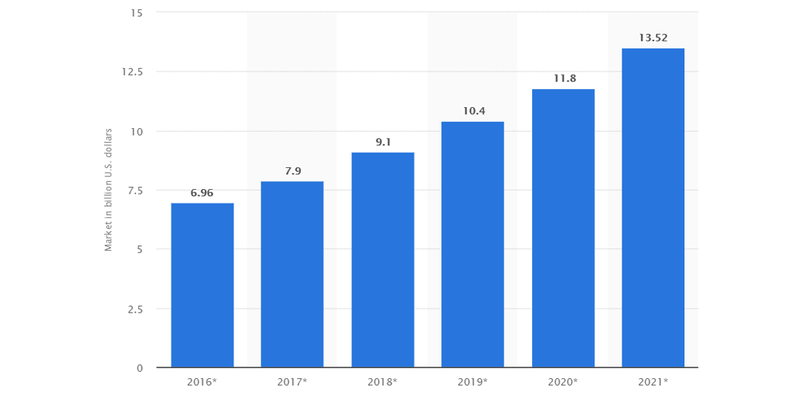 When you consider that the BPM market is expected to be worth around $14 billion by 2021, almost doubling from its valuation of $6.96 billion in 2016, it becomes clear that it will be a key area of competitiveness in the years to come. Tools like Process Street enable you to convert your process maps into actionable checklists that can be easily connected with the tools you already use through thousands of integrations. If you are not sure how you would like to construct your checklists and need some inspiration, there are hundreds of pre-made, fully customizable templates for all sorts of industries and business processes. Check out this list to find the best BPM software for your business. Adopting BPM software is the first step, which should be swiftly followed by setting up automation rules to enable processes to run as smoothly as possible. Automation and productivity go hand-in-hand, as you are minimizing the waste in time and resources that the original, manually-intensive process contained. Have a read through our Ultimate Guide to Business Process Automation for all you need to know about applying automation to the processes you’ve built or are currently building. Also, here are 50 workflow automation ideas to help get you started. The truth is that processes need to be simple if they are expected to be followed consistently by all team members, especially new hires who need to be ramped up in the most efficient way possible. While some processes, particularly at the enterprise level, are by their nature complex, managers must always be asking themselves how they can distill processes in a way that makes it easy to understand and follow. iSixSigma has written a great article titled Practical Guide to Creating Better Looking Process Maps, that illustrates how an overly-complicated map or model can be simplified by taking extra care with the use of connectors and other important symbols. Below is an example from the article of how a process map, concerned with the request and issuance of an airline ticket, can be transformed from looking like “a plate of spaghetti” to a couple of neat and tidy diagrams that can be more effectively implemented, adopted by employees, and therefore contribute to an increase in productivity. The author then completely transforms this headache-inducing diagram by breaking it into two separate diagrams, one for the request and the other for issuance, and re-organizing the connectors to simplify the flow of the process. For an explanation of how these edits were made to simplify the process map, check out the article here. When it comes to user adoption and productivity, there are two key benefits of linking your process maps to strategic business goals. Firstly, by doing so you can communicate to those expected to follow the process why it is valuable and how exactly it will make a positive impact on business performance. If employees don’t feel as though the process is actually going to make a difference, they won’t take it seriously and therefore it will likely produce little to no increase in productivity. Secondly, creating strong links between your diagrams and business goals will motivate managers to make sure that process maps and models are serving their purpose. If the process is not doing its job, they can identify shortcomings and refine it accordingly. In other words, it gives the otherwise stagnant process map a sense of direction and purpose, which is nothing short of essential to see a notable improvement in execution. You may be wondering how collaboration is linked to improving productivity with process mapping. The answer is simple: A process that has been mapped out and put in place via BPM software will be followed by a set group of people. As time passes, managers need to keep track of how the process is being used and to what extent there is need for improvement. The most effective way to do this is listening to feedback from the employees who are actually following the process on a daily basis and collaborating with them to identify opportunities for improvement. For example, a great way to collect feedback is surveys, which, according to CultureIQ is the most popular method to actively manage and drive employee engagement (55%). Managers must recognize that without providing vehicles for collaboration such as Slack, CRM group chats, video conferences, all-hands meetings, and surveys, it will be incredibly challenging to accurately evaluate and optimize processes. I have written an article discussing 5 great ways to involve employees in process design, which I recommend reading if you are looking for better ways to encourage collaboration amongst your team. This point is closely linked to the previous one emphasizing the importance of collaboration, as they are joined at the hip. Continuous improvement to processes is simply not possible without open and honest communication between the whole team. How do you go about managing process improvement initiatives? Do you have a process in place to involve team members, evaluate feedback and implement changes efficiently? Use a variety of communication methods to involve other employees. Beyond just sending them an email, create internal newsletters, lunchroom posters and a slack channel dedicated to process improvement. Identify process improvement champions and empower them to foster interest among other employees. Another way to instill a culture of collaboration and continuous improvement is to adopt the Kaizen strategy. The main idea behind Kaizen, which literally means “change for good”, but has been reinterpreted in the West as continuous improvement, is to establish a systematic way to identify, plan, test, and deploy improvements to current processes in real-time, resulting in the creation of a business that is continuously improving itself. My colleague has written an excellent piece on how you can deploy this strategy in your business, which I highly recommend reading, especially if you are in the manufacturing or finance industry. Let’s do a quick review and leave you with some important takeaways. Process models are an extension of process maps in that they are digitally enhanced versions of them. Techniques for implementing them to increase productivity apply equally. If you are looking to create process models, we have written in-depth tutorials to do so in BPMN and UML. Investing in BPM software is an absolute must if you want your process maps to notably improve business performance. Process automation may sound intimidating, but is surprisingly easy to set up and will have an immediate impact on productivity. Without the care to prioritize simplicity while process mapping, employees will not consistently follow processes and it will be more difficult to onboard new hires. Linking process maps to strategic goals gives them purpose and direction, helping all employees see the value of implementing the process following it as directed. Team collaboration is essential in identifying constraints, opportunities for improvement, and to encourage process adoption. Establish a process for continuous improvement, and your process maps will never go unused. Constant attention is key to enabling your maps to go beyond a document and into the engine of consistent, high-quality business performance. I hope you found this article practical in some way, as it was intended to be! What steps do you take to make sure your process maps don’t gather dust on a shelf somewhere and contribute to productivity? Is there a great technique that I’ve missed? Let me know in the comments below! Do you map or do you model? Do you know the difference?